Aaron was born and raised in the Springfield, IL area and is a graduate of Glenwood High School in Chatham. Aaron graduated from Monmouth College with a business administration degree and a minor in communications. He spent his next 10 years as an account manager with Penske Truck Leasing and IGS Energy, where he won several awards for being a top performer. At IGS Energy, he was responsible for developing new natural gas projects that involved commercial real estate leases and purchases. Aaron always considered pursuing a career in residential real estate, so he obtained his real estate license and joined the Jane Hay Sales & Staging Team full time. Aaron strives to bring a consultative approach to helping his clients buy or sell their homes. Aaron enjoys giving back to the community. He is a volunteer for the Titan Superhero youth leadership program for Ball-Chatham School District, alongside his mother Pam Hogan. Aaron is also a member of the American Business Club of Springfield and various other business networking groups. Aaron currently resides in Chatham with his wife Sara, and dogs Buddy and Yogi. Sara is a physical education teacher, volleyball coach, and softball coach at Glenwood High School. I graduated college in 2001 with a degree in electrical mechanics and began working at Armour Foods meat processing plant. I worked my way up to become the youngest Union President to be elected into office at the age of 28. I moved to the Land of Lincoln in 2009 for a job transfer. In early 2015, budget cuts caused a relocation in the position. So I began transitioning to a Real Estate Broker/Agent. This change proved to be successful and clever. My tenacity, knowledge of negotiation skills, friendly personality, fresh understanding of the latest rules and regulations of the Real Estate market and eagerness to succeed in my new career, is going to make me a great choice as your Realtor to buy or sell a home! Andi is a military spouse and a former CEO of a Chamber of Commerce who has recently returned back home from living in Germany for over two years to pursue her passion in real estate and serving her clients to meet their needs at whatever season of life they are in. I know that buying or selling a home is the largest financial transaction most people ever make. My mission is to provide unparalleled service so that my clients, both buyers and sellers, are thrilled with the outcome and comfortable with the entire process. I strive to match every buyer client with a neighborhood that suits their heart and a home that suits their budget. I understand that people who are happy in their homes make the best neighbors. I strive to be resourceful, responsive, and attentive to every client that I serve. I believe that I answer to a higher authority and try to reflect that in every aspect of my business and personal life. My faith and my family are my foundation. I am a graduate of Southern Illinois University with a bachelor’s degree in Music Merchandising. I have lived in Springfield since 1984 with my husband Phil and have been a licensed REALTOR since 1985 and a Broker since 1989. I was a licensed appraiser from 1997 to 2001. A Licensed Realtor® since 2003 and has earned her ABR designation and Broker's license. Anne is a graduate from Southern Illinois University at Carbondale with a Bachelor Degree in Marketing. Prior to Real Estate, Anne has worked as the Marketing Manager/ Coordinator for a local manufacturing company and was a Territory Manager for an Illinois Wine & Liquor Distributor. Anne was born and raised in Chatham. She was a 1995 graduate of Chatham Glenwood High School and still resides in Chatham with her husband and two young girls. Outside of real estate she enjoys spending time with her family. Caring for clients is the most important aspect of the real estate profession. When you make the life-changing decision to buy or sell a home, Anne is committed in going the extra mile to ensure all your needs are successfully met in an honest and professional manner. Anne is a member of the Capitol Area of Association of REALTORS®, the Illinois Association of REALTORS®, and the National Association of REALTORS®. She is a member of St. Joseph’s Catholic Church in Chatham. Because the Real Estate Industry is a dynamic and continually changing profession, you need the guidance of a proven Team to represent your individual interests. Our experience and dedication to staying on top of current real estate trends allow us to provide uncompromising service with a personal touch. “Energetic. Passionate. Knowledgeable. All about the customer!” Becky is known for her outstanding client service, honesty, hard work, availabilty 24/7 and over 20 years in the real estate business. Born and raised in the Springfield area her strong connection with the community gives her the ability and knowledge to find your perfect home. She is a family gal with a husband, 3 older children and a grand daughter. With over 30 years working side by side with her husband building and remodeling residential and commercial properties has gave her an eye for design and comes with the much needed knowledge of home construction. She understands that buying and selling real estate can be stressful. As a full-time Realtor, Becky will work hard to lower your stress level and make your experience as pleasurable as possible. She will accomplish this through constant communication and by being accessible whenever you need her. My growing business is anchored on faith, honesty, integrity, hard work, and getting the job done however big or small it may be. I have built solid relationships in business for over 20 years and I believe success is measured by those relationships and the trust they place in me. I am honored to be able to serve this great community of Springfield. I continue to strive for excellence everyday in all that I do for my clients and enjoy the journey that we will travel on together. A Licensed REALTOR® since 2007 - Graduated Realtor Institute Nov 2012 - Member of Capital Area Association of REALTORS® - Member of Illinois Association of REALTORS® - Member of National Association of REALTORS®. As a real estate professional, I have had the pleasure of helping buyers and sellers achieve their dreams for the past 10 years. Nothing provides me with greater satisfaction than helping my clients. Happy clients make me happy!! Whether buying or selling, you need someone that will listen to you and understands the industry in order to achieve your goals! I pride myself on negotiation skills that allow my clients to be represented in the best possible way! Prior to my real estate career, I was a nationally certified kitchen and bathroom designer and worked as a project manager for a construction company so it seemed natural that my knowledge of the structure of a house would be beneficial in selling houses-not to mention my last name is House!! I will guide you through every step of the home buying and selling process. Real Estate is my FULL TIME job (passion) which allows me to provide a very personal and hands on commitment to you. I have closed hundreds of properties and have extensive knowledge of the Springfield Illinois and surrounding areas. My goal is to help you sell for the highest price and to negotiate the best price on your new home. I too, have moved many times from across town to across country and I understand the emotions, frustration and excitement that come with every move. I have extensive experience and knowledge working with those relocating, relocation companies, Veterans, first time buyers, Senior buyer and sellers and those moving up or downsizing. From your FIRST HOME to your DREAM HOME and EVERY MOVE in between I can guide you through the process. Change is inevitable but it doesn't have to be hard. My clients are my best referrals for my services. I would be happy to provide a list of references at your request. Or you can read all reviews on my Zillow Premier Agent site. LET'S WORK TOGETHER! Springfield has been my home town my entire life and I know the market well. I started my real estate career in 1998 after working for a local financial institution. Throughout my career, I received numerous awards that included the #1 top producing single agent for homes sold, top 10 agents in the Illinois and Missouri region, and also received the prestigious Hall of Fame Award. I continued my education by obtaining my broker's license, became a Certified Residential Specialist, and have graduated from the Realtor Institute (a designation that ranks me in the top 4% of real estate agents nationwide). I was also recently recognized as the "The Best Realtor" by Illinois Times for 2013, 2014 and again in 2017! As the business grew, I formed the Winchester Sales Team. This consists of an administrative assistant and two full time agents. Jane Hay’s business success is a direct result of her can-do positive attitude, high energy work ethic, and long-term vision for a real estate business that incorporates both free home staging and excellent customer service. Jane’s diverse background in the fields of business operations, project management, and customer relations helped to mold her unique approach to traditional real estate sales. “When I entered the real estate business, I wanted to do something no one else was doing. I wanted to make sure my listings stood out in a way that got them sold quickly,” Jane recalls. “It’s not enough to put a sign in the yard, ad in the paper, and wait and see what happens. I wanted each and every one of my listings to be professionally prepared for sale so that the home would appeal to the most amount of buyers and generate the highest price in the least amount of time on the market.” Home staging has helped her do this. Prior to Jane’s real estate career, she served as a project assistant for the Secretary of State’s office and served on Illinois State Treasurer, Judy Baar Topinka’s executive staff. Jane also served as office administrator/paralegal for Wolter, Beeman, & Lynch Law Offices. Jerry began his Real Estate Career in 1992 and was one of the original seven partners with The Real Estate Group at its origination in 1997. A life-long Springfield resident, Griffin/SHG and Indiana University graduate, each year Jerry is one of Springfield’s Top-Producing Agents and has successfully sold and closed approximately 1,500 transactions. Part of his aggressive “proactive marketing” strategies include making over 3,500 contacts per year in an effort to get your home sold for the highest possible price in the fewest days possible. Jerry’s commitment and work ethic are unquestionably second to none; yet he knows that the most important thing is to take great care of you the client. THE KATHY BADGER SALES TEAM has been bringing Central Illinois Buyers and Sellers together for nearly 30 years. Our team approach has been not only beneficial to us as agents but has also served our clients in many ways. Our approach is friendly and diligent when completing our objective whether finding homes for buyers or selling homes for clients. By efficiently completing all steps of the transaction we hope to minimize the stress and anxiety for our customers which is sometimes found in real estate matters. Kelly Stotlar joined the Jane Hay Sales & Staging Team in June 2013 and has been a licensed real estate broker since 2009. Prior to her career in real estate, Kelly taught First Grade at Saint Aloysius School from 2005-2009 and taught at Gateway Foundation Drug & Alcohol Treatment Center with Springfield School District #186 from 2009-2011. Kelly also served as a Junior High Volleyball Coach at St Aloysius School and JV Girls’ Basketball Coach at Sacred Heart-Griffin High School. Kelly is heavily involved at St. Aloysius School and has served as President of the PTO the past four years. Kelly is a 2000 graduate of Ursuline Academy and received a Bachelor’s degree in Elementary Education from Blackburn College in Carlinville in 2004. Kelly was born in Norman, Oklahoma and currently resides in Springfield with her husband Scott, who serves as a fireman with the Springfield Fire Department, and their three children Kendall, Kolbie, and Caden. Realtor/Broker Laura Borski began her real estate career in 2017. She is originally from Peoria Illinois but grew up in Tucson Arizona. She returned to Illinois for college, where she earned a Bachelors of Science in Nursing degree from Saint Francis Medical Center College of Nursing. Laura’s many years of caring for people and their needs throughout her Nursing career give her a unique perspective to help buyers and sellers. Helping them to navigate their buying and selling experience with a focus on individual needs. Laura and her husband, Jeff, live in Springfield with her 3 children, where they are active with their sports and school activities. Originally from Macomb, I have lived in Springfield for nearly 20 years during which time I worked as Event and Promotion Coordinator for Downtown Springfield, Inc. and Director of External Relations for the Illinois Grape Growers and Vintners Association. I received my B.S. in Recreation, Park and Tourism Administration from Western Illinois University and a M.S. in Communication from the University of Illinois at Springfield. I recently completed the coursework to become a Certified Negotiation Expert. I currently serve as the Chair of Westminster Cooperative Preschool and the Children’s Tent at the 2019 Old Capitol Art Fair. I’m also a member of the WUIS 91.9 Campus and Community Advisory Council. My husband, Chris and I have three young sons and are enjoying all the joys (and challenges) of parenthood as well as our old hobbies of cooking, spending time with friends , enjoying the outdoors, and traveling, though much less and closer to home now. Give me a call to help find your next home or list your property! I LOVE Real Estate! Period. I come from an entire family of real estate salespeople and my parents, Pat and Betty Grady, owned and operated our family firm, Grady Realtors Inc. since 1969. It's in my blood! I grew up showing houses with my parents and listening in on appointments! I went to college to become an art teacher, got my degree and began teaching high school art for four years right out of college. I decided to take the real estate course and get my license to work part time after school hours and in the summers. After two years of working both jobs, I left teaching to pursue my career in real estate full time! Luckily, I have been able to use my creative mind every day since leaving teaching art. I have always been very active in community service volunteering time and also received a Community Service Award nominated by my peers of the Capitol Area Realtors. I have most recently served on the Board of Directors for the Springfield Old Capitol Art Fair, Springfield Art Association, Vachel Lindsay Association Board of Directors, the St. Patrick's Day Parade Board, the Junior League of Springfield, and was VIP for the United Cerebral Palsy and Muscular Dystrophy Association, and a regular volunteer for Christ The King School. I also was one of Springfield's first accredited staging professionals and I will always work closely with sellers to stage their home for a fast and prosperous sale! Moving is STRESSFUL!!! Each time I have moved I have grown a whole new appreciation for the hard work behind getting ready for the market to sell, and finding a home that is perfect for my family! I empathize in the stress that goes on behind the scenes! You may be selling your first home you brought babies home to, maybe you are upgrading to a bigger home, maybe you are selling your last home or even your parents home, a job relocation, family tragedy, financial reasons, the list goes on and on why we move. So... how about a no nonsense aggressive agent with a heart? I want to take some of the stress off your worry list! I feel a tremendous amount of responsibility to my sellers and buyers and I am committed to hard work and dedication every step of the way! This is a team effort and I am committed to cross the finish line with you!!! Nancy is a life long resident of the Logan/Sangamon county area. She has made the practice of Real Estate her career since 1986. Nancy focuses on residential sales, both new and re-sale homes in and around the Springfield/Sangamon county area. She is certified and experienced in assisting both buyers and sellers with relocation services. Nancy holds a Brokers license along with the QSC, ABR, CRS, & GRI designations. Nancy is a service oriented individual and believes along with honesty and professionalism, communication between herself and her clients is one of the most important aspects of the client/agent relationship. Nikki Cowan has been a licensed Real Estate Broker since 2010. Prior to her career in real estate, she worked for GateHouse Media in their sales and marketing department. Nikki has also served as the Team Manager for the Glenwood Hockey Team since 2014. Since becoming a Realtor, Nikki has conducted First Time Home buyers Seminars in conjunction with Sangamon County Community Resources as well as Nehemiah Expansion. Nikki has extensive knowledge about Rural property but can also put you in the home of your dreams in the city limits too! Nikki was born in Springfield, Illinois and grew up on the out skirts of town. Nikki currently resides in Pawnee on her mini farm with her fiance Ryan who works as a Police Officer with the City of Springfield and her two boys Tyler and Peyton. I love working with people and my greatest joy comes from watching my clients dreams become reality. I am intent on giving each individual I work with my highest level of service and I take great pride in my integrity, honesty and loyalty as a professional Real Estate Broker. Whether serving as a Buyers Agent or a Sellers Agent, I am committed to helping my clients understand and smoothly navigate a process that can be complex and is ever-changing. I believe in honest, open communication and you can be assured that you will receive all the information you need to make educated and informed decisions. I seek to earn your trust in hopes that I will also earn the opportunity for future referrals. I am a native of Springfield and I love living and working here! I grew up working with my father in the construction trade. After receiving my Bachelor's degree I worked as an independent remodeling/painting contractor until 2001. It was in 2001 that I earned my Real Estate Broker’s license and I have since had the privilege of helping thousands of people with their real estate dreams. 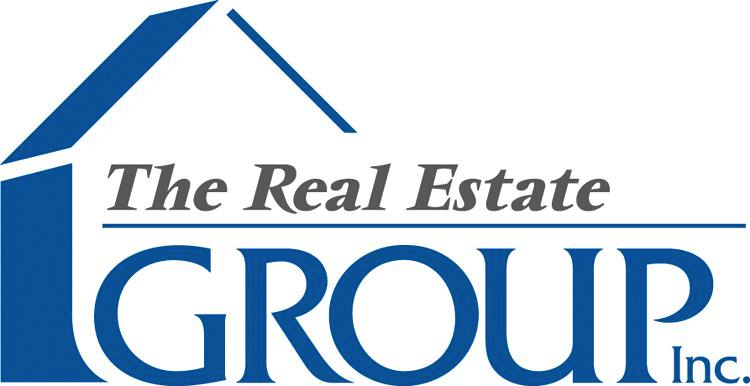 In 2013 I joined the #1 office in the greater Springfield area, The Real Estate Group, Inc. I have also obtained my GRI (Graduate of Real Estate Institute) designation and my CRS (Certified Residential Specialist) designation which is held by only 4% of agents worldwide. My background in the building trades along with my dedication, exceptional customer service, and contagious passion for Real Estate are the cornerstones of my success. God has graciously blessed my efforts and I have achieved many awards and accomplishments throughout my career, but the greatest achievements of my life and the recipients of my greatest love are my two sons, Tom and Mitch, and my beautiful grandchildren, Liberty, Alexis, Hunter, and Benji! Rick has been a licensed REALTOR since 1985. His years of experience as a Springfield REALTOR are invaluable to you whether you are searching for a new home or selling a home in and around the Springfield area.In 2005 Rick was named "REALTOR of the Year" by the Capitol Area Association of REALTORS. Also in 2005, he was named "CRS REALTOR of the Year" by the Illinois Chapter of Certified Residential Specialists. Rick has consistently been a top producer in the greater Springfield area residential real estate sales. He prides himself in giving good service and helping his clients make wise choices. Rita Lee is a licensed Broker and REALTOR in the Springfield area. Rita got interested in home buying and selling when rehabilitating homes with her husband. She brings her experience in home repair when viewing homes with you. Rita is on the Alderman Team which values honesty in all real estate transactions. Selling Jacksonville area real estate since 2001! PERSONAL: I graduated from Triopia Jr. Sr. High School in 1994 and Robert Morris College in 1995. I completed my real estate licensing in 2001 and became a Certified Residential Appraiser in 2004. I am a home town boy and love Jacksonville. It makes it easier to sell something when you love what you do! I reside in Jacksonville with my wife, April and two sons, Logan and Braden and daughter Madilynn. We are active members of First Christian Church and are leaders in "Hands of Love, Orphan Care." I'd love to share my heart for orphans with you! I am a Realtor. Wife. Soccer Mom. Military Mom. Book Lover. Gardener who likes to know the latin names of plants. Movie quoter. Trekkie and Dr Who fan. And I love my job. In my experience as a full time Springfield Real Estate professional, I've found that providing the very best service is essentially about putting my clients first. This means keeping myself accessible, being a good listener as well as a good communicator, and responding quickly to your needs. This "client first" philosophy has always been my approach and it requires me to continually improve my skills and ways of doing business. In addition, I've found that the latest technologies are enabling me to do everything I've always done, only more quickly and efficiently. They've also helped me to extend the range of services I provide to my clients. I would be honored to be Your Realtor of choice, and be your guide to move you to where YOU want to be.